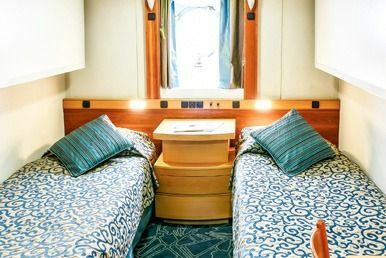 The contemporary Ocean Endeavour offers a stylish and comfortable expedition ship for Polar cruising. 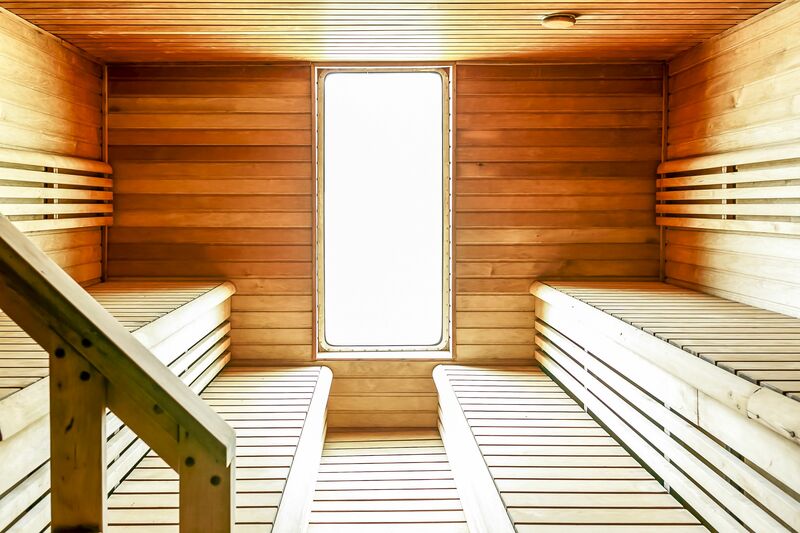 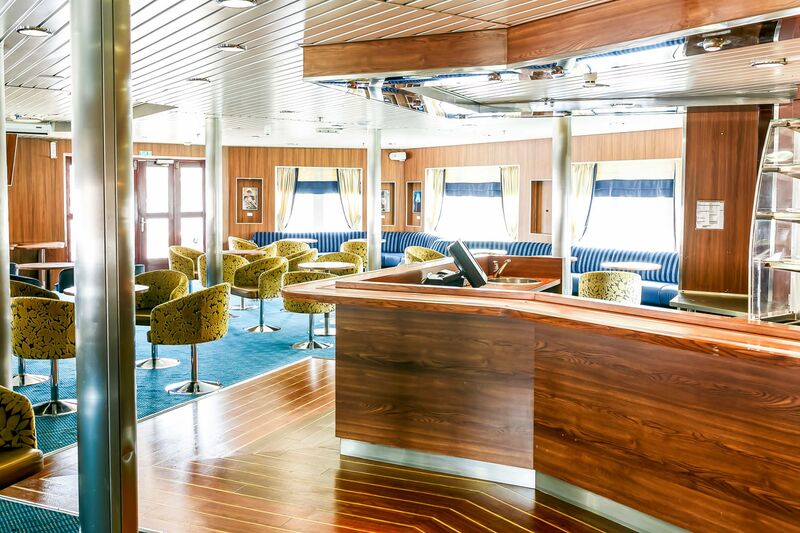 This bright and spacious vessel was recently refurbished and has a huge choice of cabin categories, large cabins and common areas, a sundeck and observation area, plenty of deck space, several lounges for relaxation and a swimming pool, gym, spa and sauna. 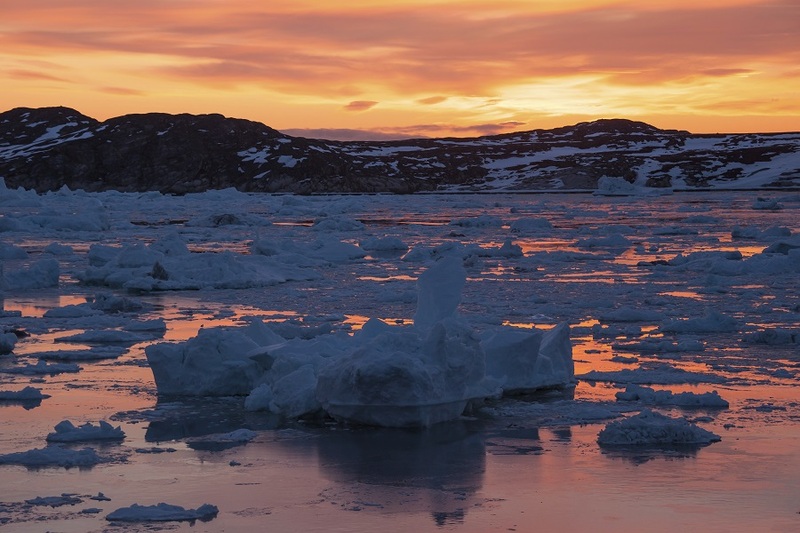 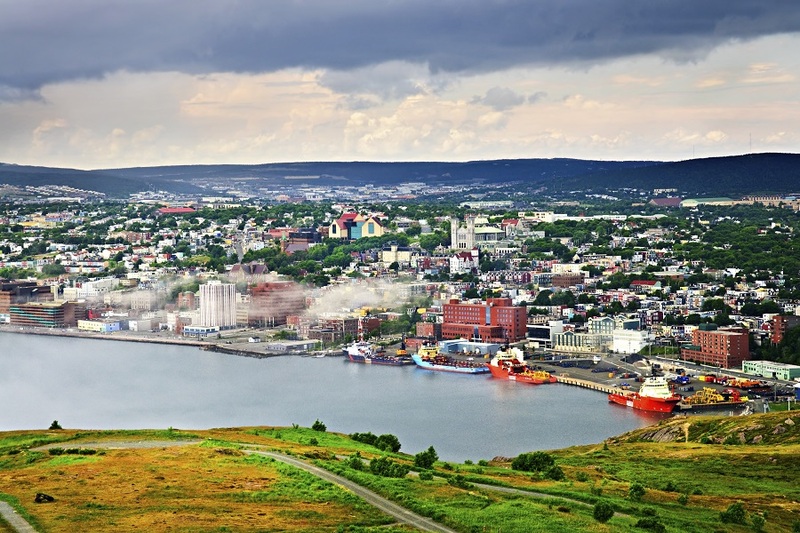 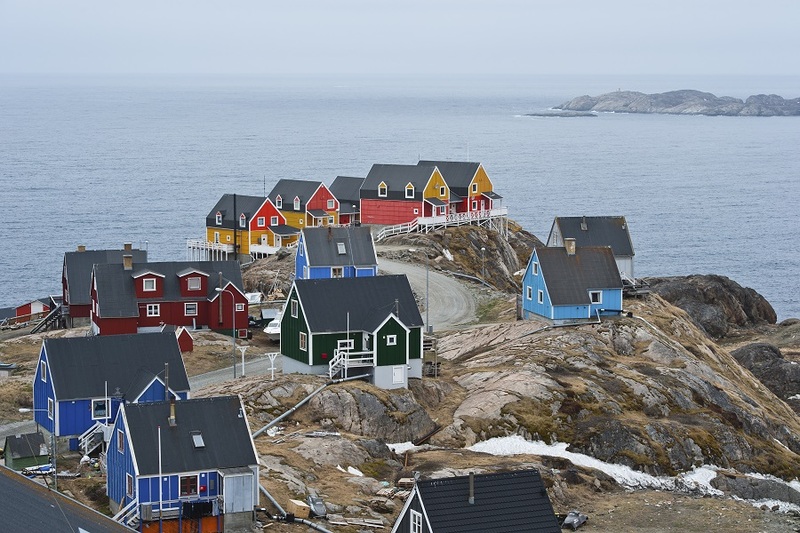 The ship has an ice-strengthened hull, a fleet of Zodiacs and on selected voyages offers a range of optional activities including snowshoeing, camping, kayaking, stand up paddle-boarding and mountaineering. 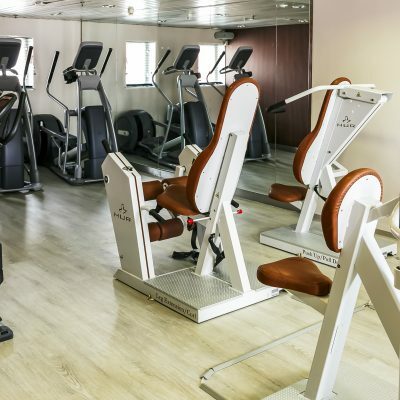 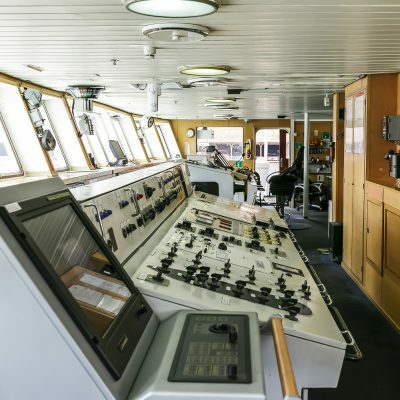 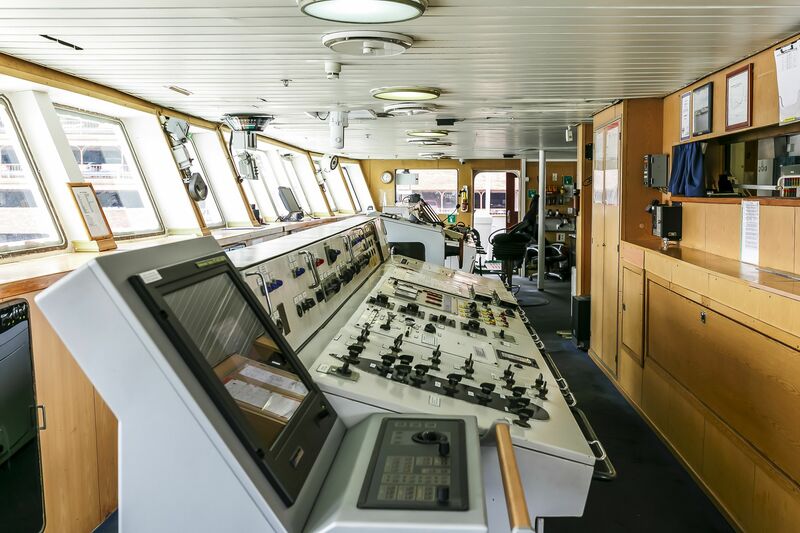 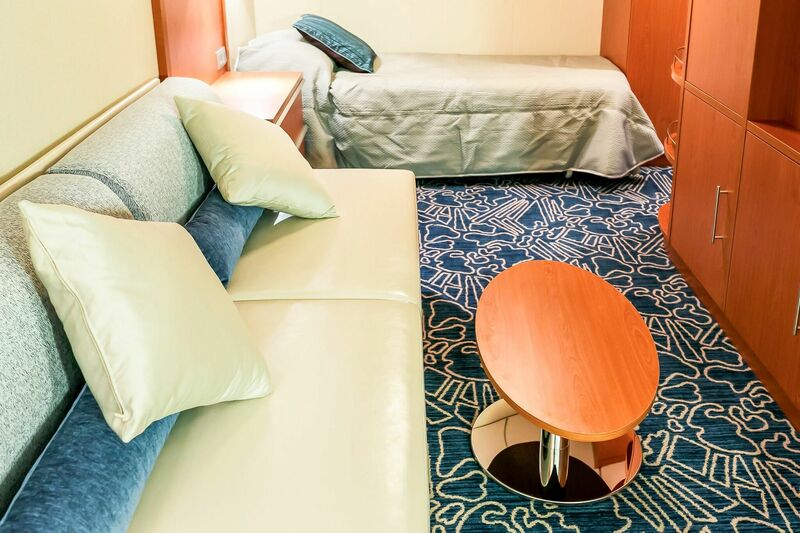 Cabins on the Ocean Endeavour have private bathroom facilities, flat screen tvs, desk and chair, and storage areas. 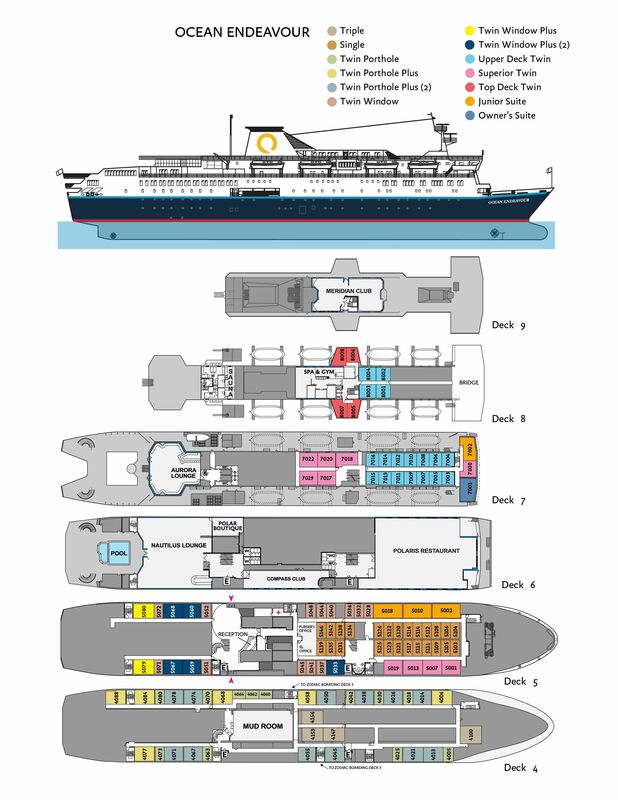 Please note that the elevator only services decks 4, 5 and 6. 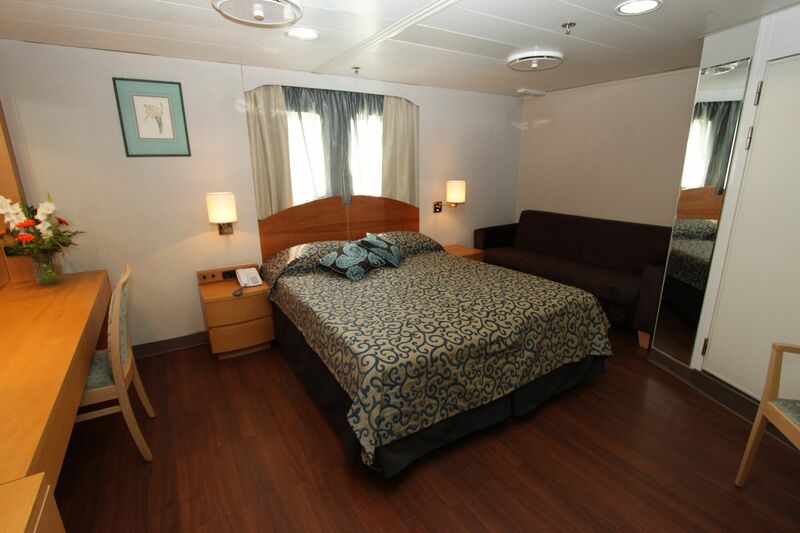 All cabins have private washroom facilities, a phone for internal calls, radio, TV and air-conditioning. 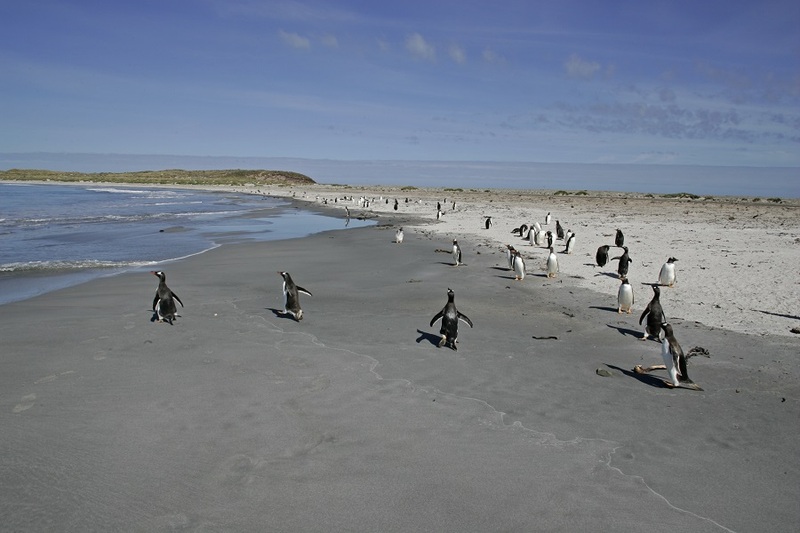 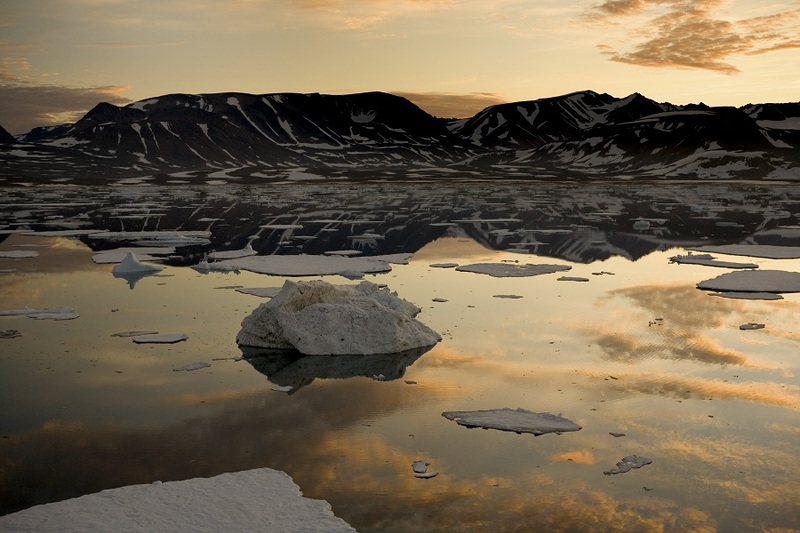 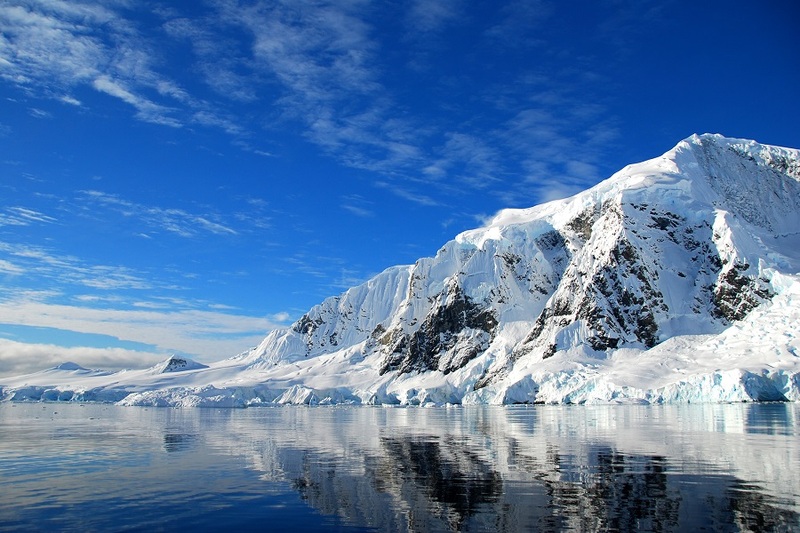 Descriptions are as follows, however please note that the descriptions do differ between Arctic and Antarctic sailings. 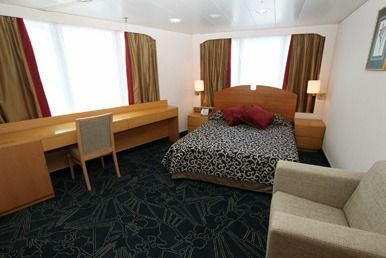 Triple cabins are located on deck 4 and are interior cabins with 3 single lower berths and private bathroom facilities. 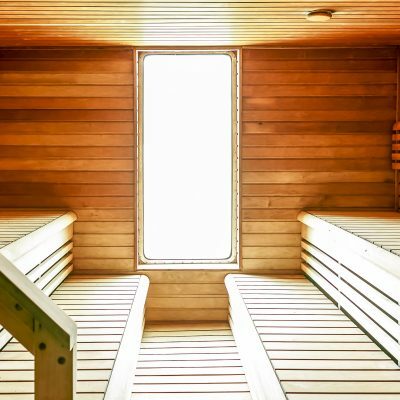 Approximately 10-15 sqm in size. 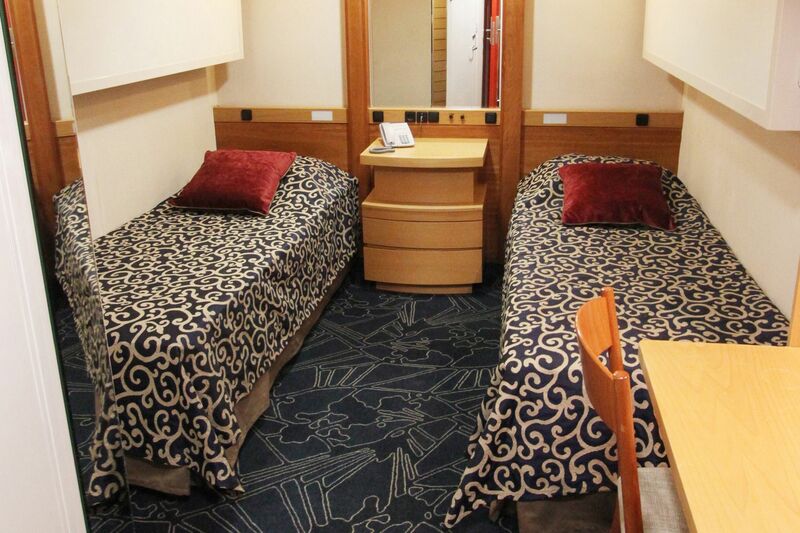 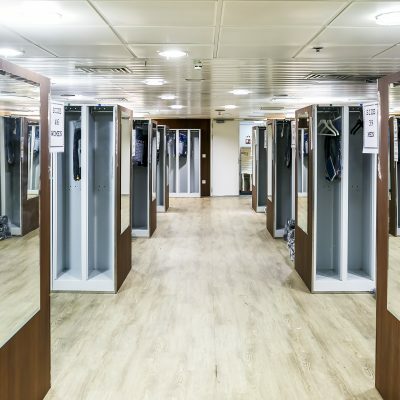 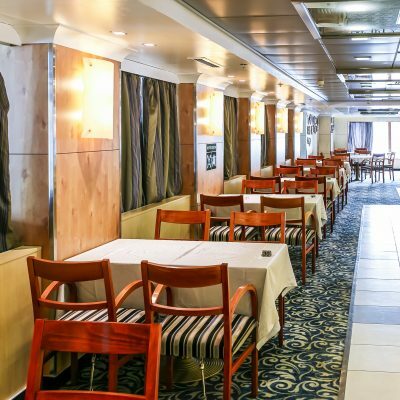 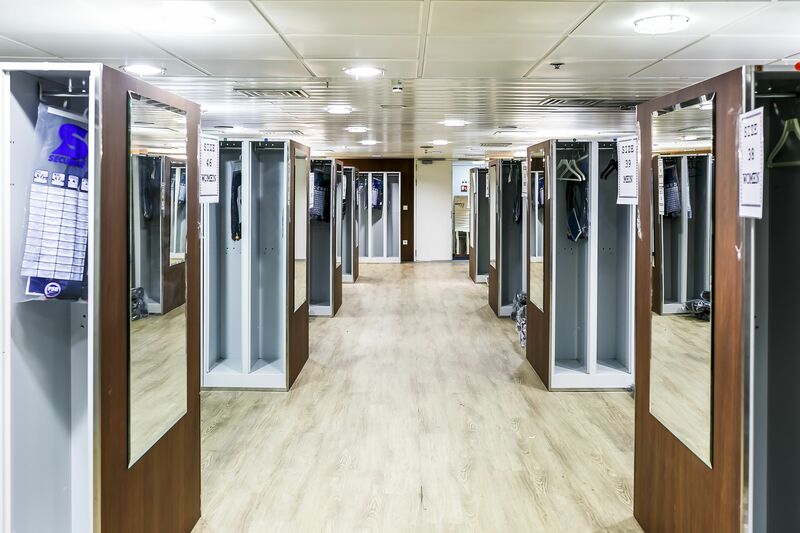 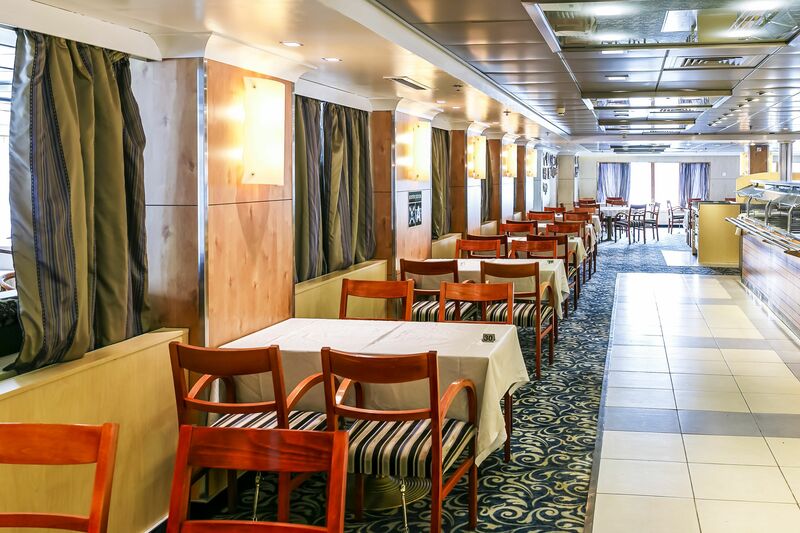 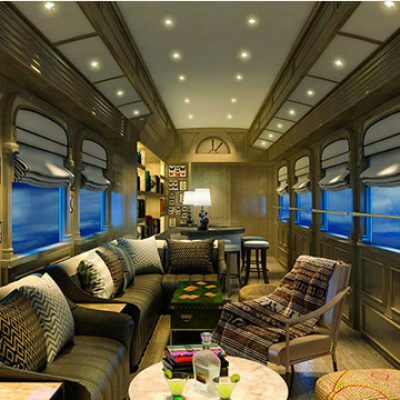 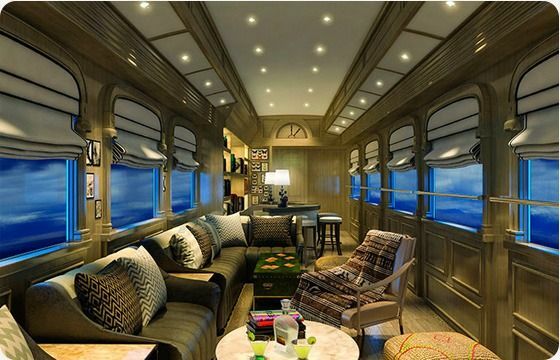 Single cabins are located on deck 5 and are interior cabins with 1 lower berth and private bathroom facilities. 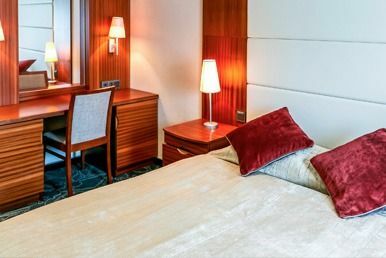 Approximately 9-10 sqm in size. 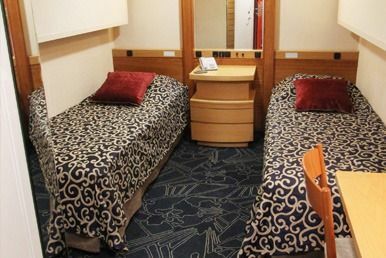 Twin Porthole cabins are located on deck 4 and have a porthole window, 2 berths (generally 2 lower berths, although some cabins are 1 lower and 1 upper) and private bathroom facilities. 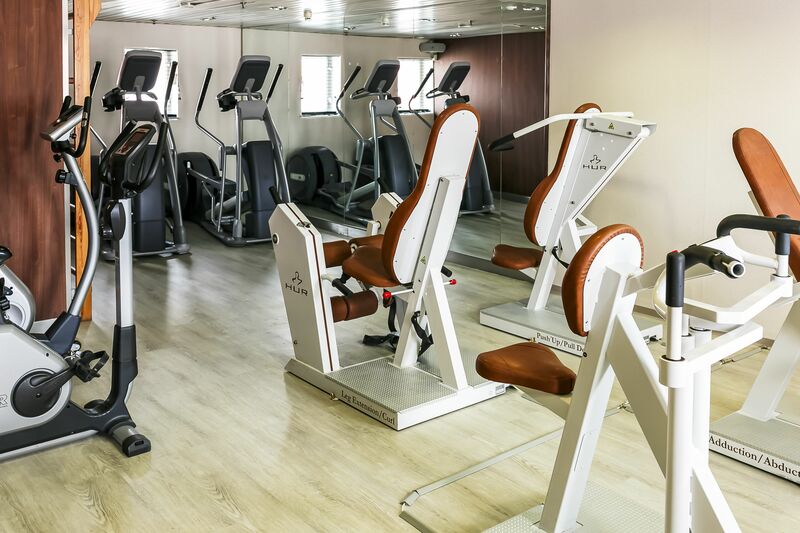 Approximately 9-10 sqm in size. 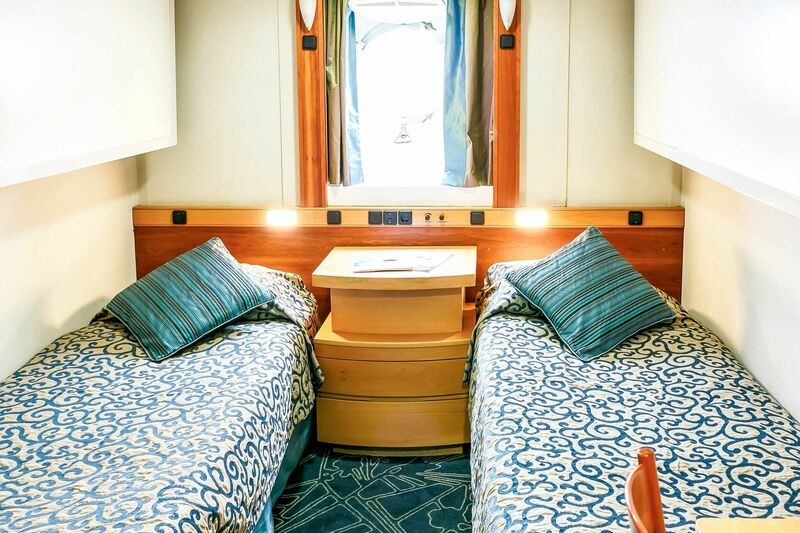 Twin Porthole Plus cabins are located on deck 4 and feature a separate living area, 2 porthole windows, 2 lower berths, pull out sofa and private bathroom facilities (2 bathrooms in selected cabins). 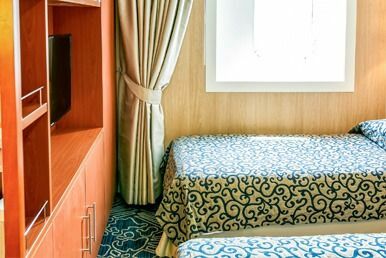 Approximately 18-20 sqm in size. 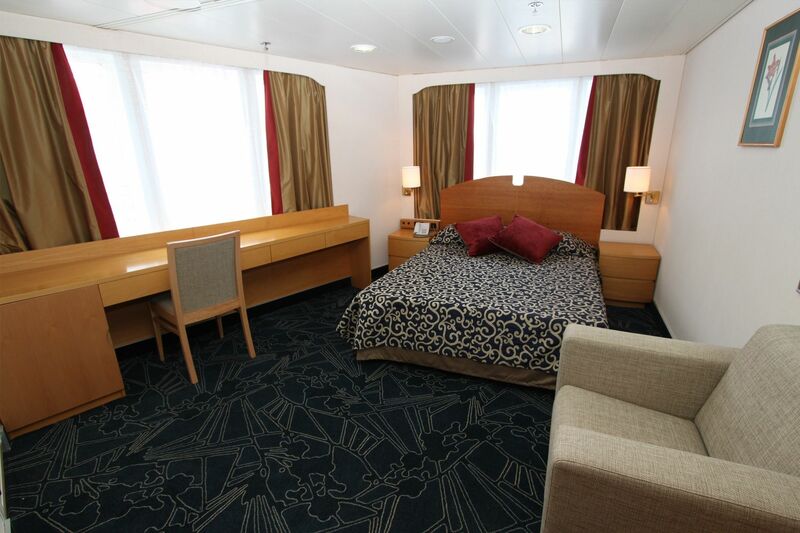 Twin Window cabins are located on deck 5 and have a picture window, 2 lower berths and private bathroom facilities. 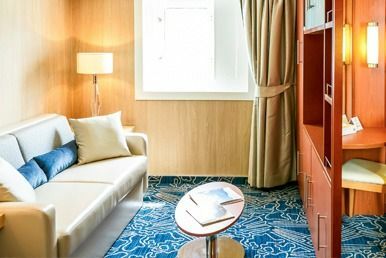 Approximately 9-10 sqm in size. 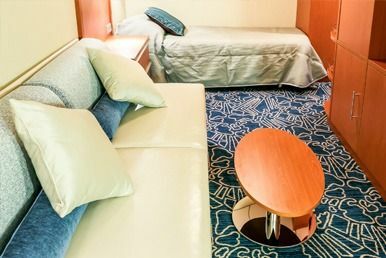 Twin Window Plus cabins are located on deck 5 and feature a separate living area, 2 picture windows, 2 lower berths, pull out sofa and private bathroom facilities (2 bathrooms in selected cabins). 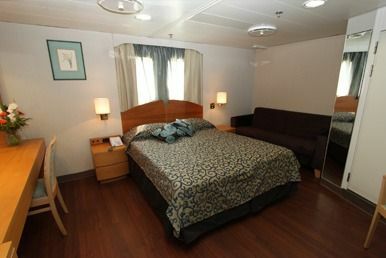 Approximately 18-20 sqm in size. 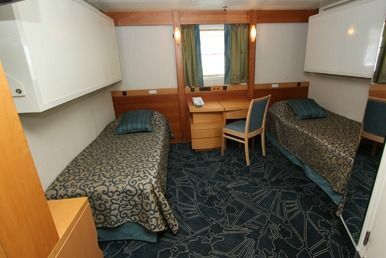 Upper Deck cabins are located on deck 7 and deck 8 and have a picture window, 2 lower berths or 1 double bed and private bathroom facilities. 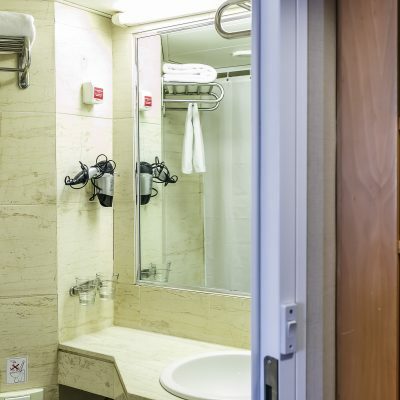 Approximately 13 sqm in size. 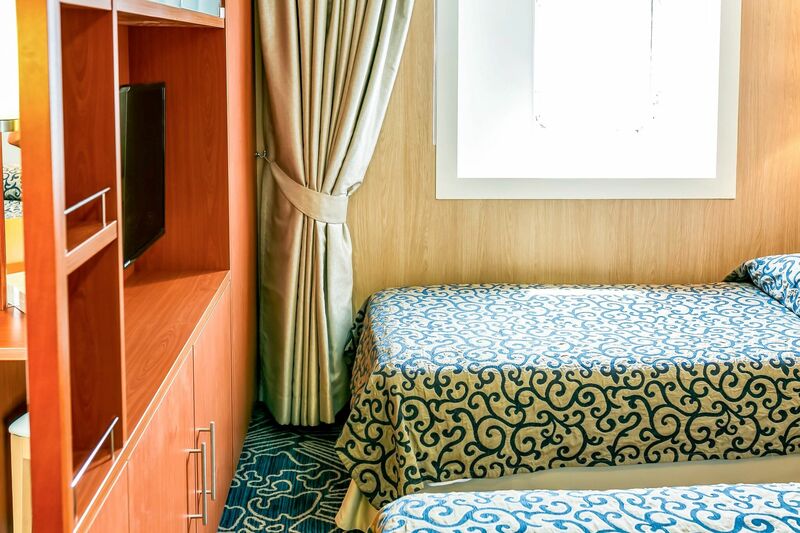 Superior cabins are located on deck 5 and deck 7 and have a picture window, 2 lower berths or 1 double bed and private bathroom facilities. 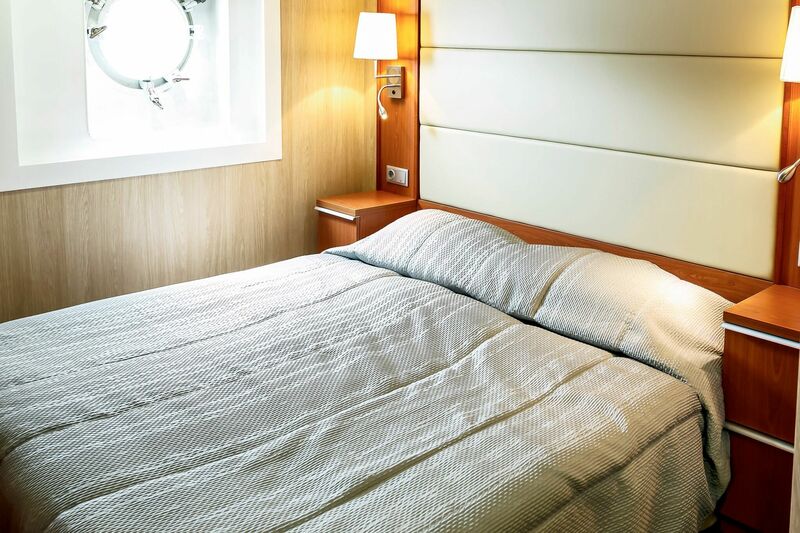 Approximately 19 sqm in size. 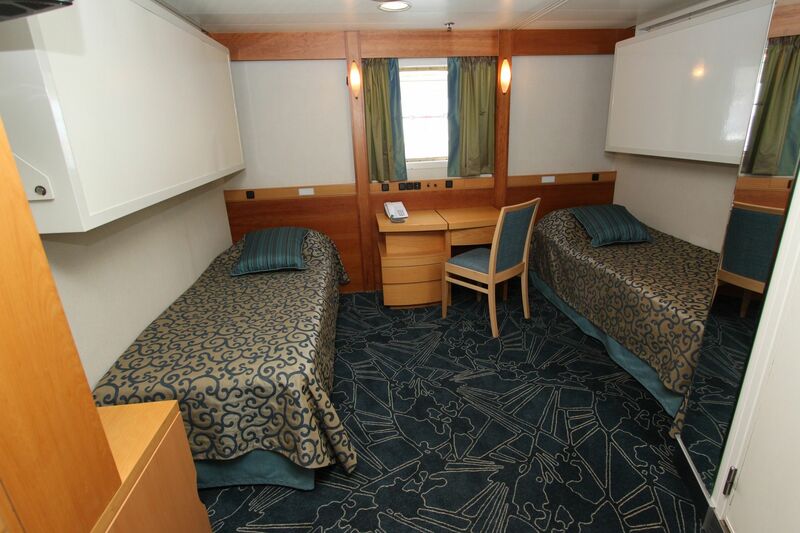 Top Deck cabins are located on deck 8 and have 2 picture windows (1 is partially obstructed), 1 double bed and private bathroom facilities. 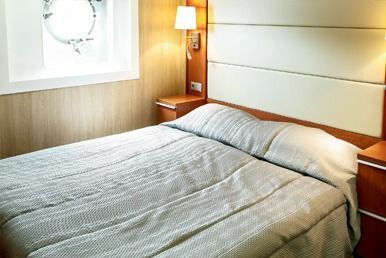 Approximately 14.5 sqm in size. 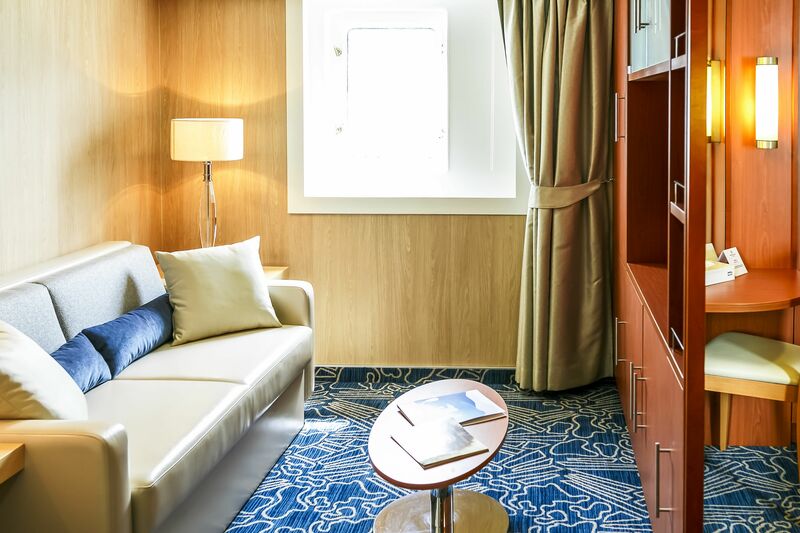 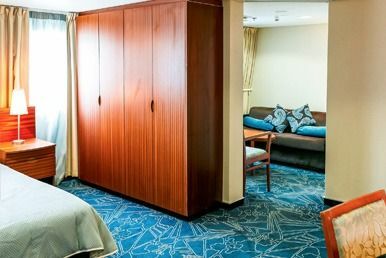 Junior Suites are located on deck 5 and deck 7 and feature a picture window, 1 double bed and private bathroom facilities. 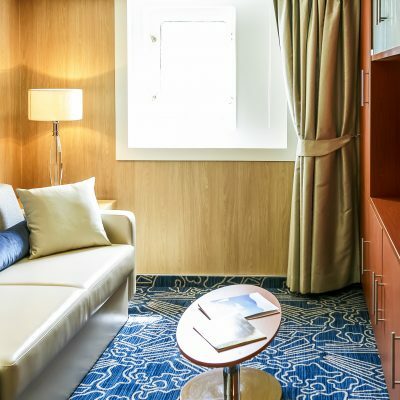 Approximately 30 sqm in size. 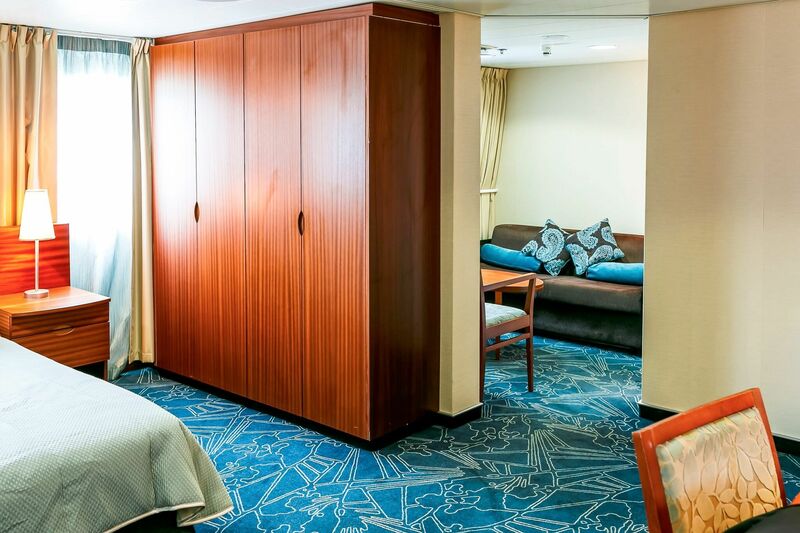 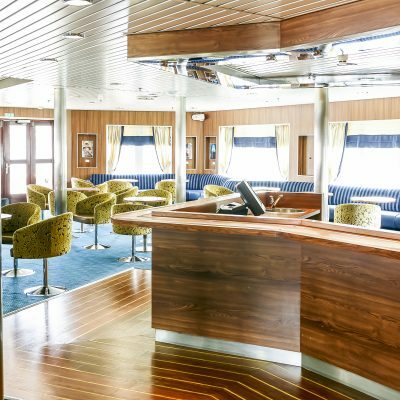 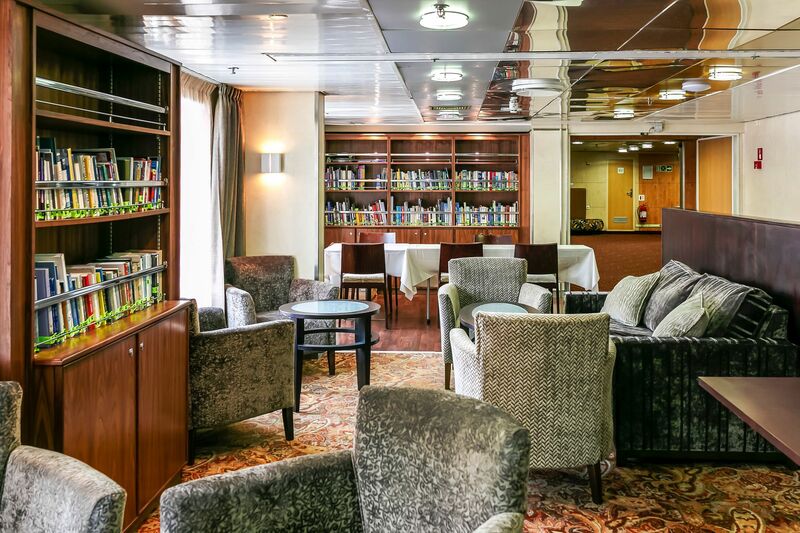 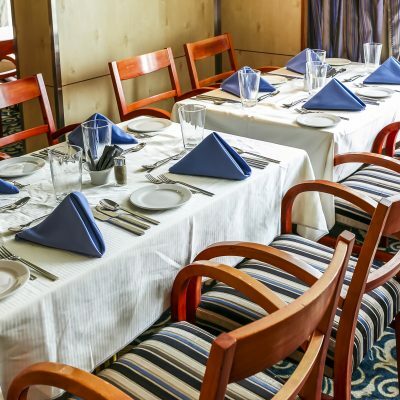 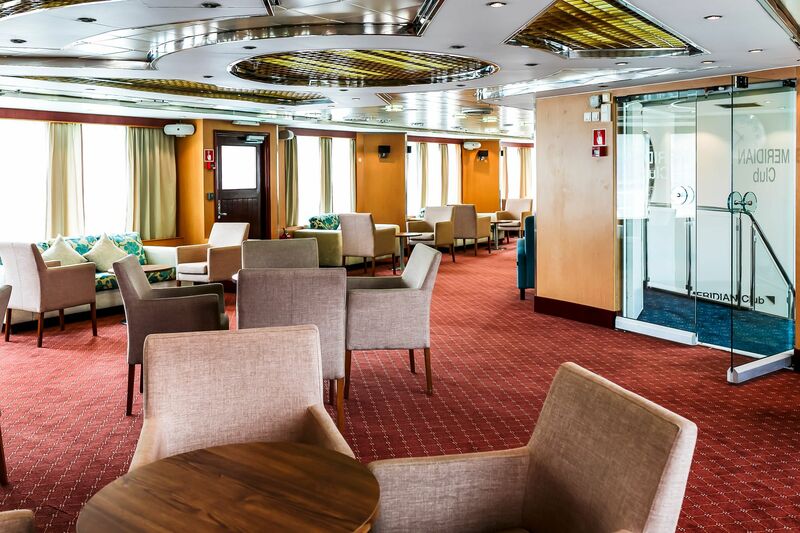 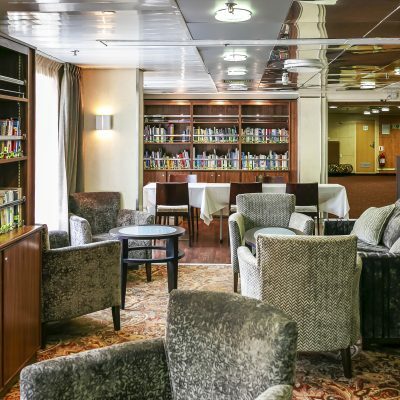 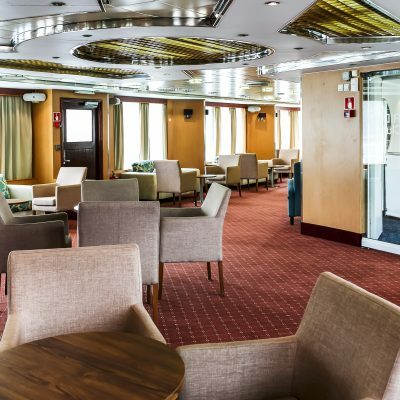 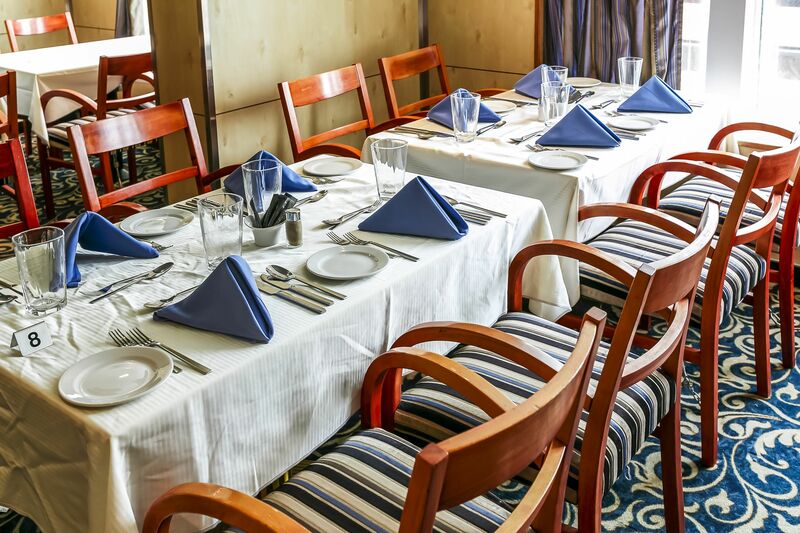 The Owners Suite is located on deck 7 and feature 2 large bow facing windows, separate sitting room, 1 double bed and private bathroom facilities. 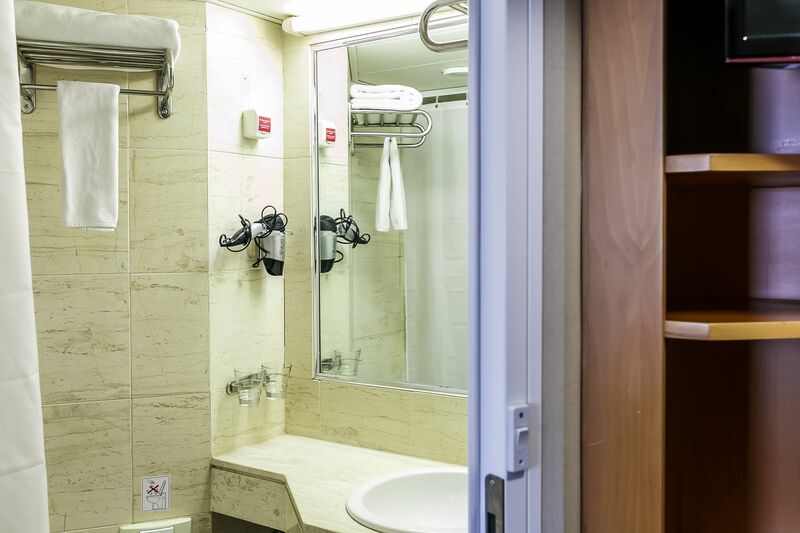 Approximately 30 sqm in size.